If you don't already have a Scrum.org account, you can sign up in just a few seconds. There are three levels of Professional Scrum MasterTM Assessments (foundation, intermediate and advanced) that validate and certify your knowledge of Scrum and ability to apply that knowledge. There are two levels of Professional Scrum Product OwnerTM Assessments (intermediate and advanced) that validate and certify your knowledge Scrum Product Ownership and ability to apply that knowledge. The Professional Scrum DeveloperTM Assessment is structured to validate and certify your knowledge of the practices and techniques that support building complex software as a member of a Scrum Team and ability to apply that knowledge. The Scaled Professional ScrumTM Assessment validates and certifies your knowledge of how to scale Scrum and the use of the Nexus Framework and ability to apply that knowledge. The Professional Scrum with KanbanTM Assessment validates and certifies your knowledge of how Scrum Teams can use Scrum with Kanban to support value creation, measurement and delivery. The Professional Agile LeadershipTM Assessment validates and certifies your knowledge of how agility adds value and why leadership understanding, sponsorship, and support of Agile practices are essential. At Scrum.org, we help ensure that individuals understand how to deliver high value software with higher levels of agility using Scrum. To help meet that goal, Scrum.org provides assessments that can be used as tools to examine, enhance, and certify your knowledge of Scrum. 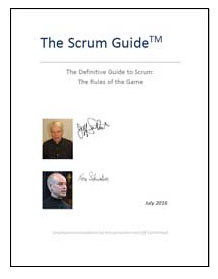 Scrum.org assessments are grounded in the Scrum Guide, which is written and maintained by the creators of Scrum, Ken Schwaber and Jeff Sutherland, and is freely available here. The Nexus Open also relies on content from the Nexus Guide available here. 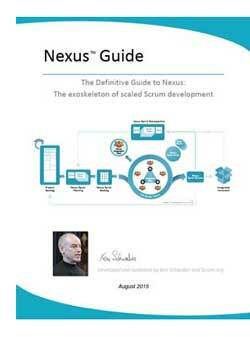 You can also learn more about Scrum and Nexus in the Resource Center. It is not mandatory that you take a Scrum.org Professional Scrum training class to take one of our assessments, although it is highly recommended. We believe that certification is more than just a way to show you attended a class and that is why Scrum.org Professional certifications are available to anyone as they demonstrate your knowledge and understanding of the subject in detail. Each Scrum.org training class includes a free attempt at the corresponding assessment. Open Assessments allow you to gauge your basic knowledge of Scrum, software development using Scrum and the fundamentals of scaling Scrum. There is no fee for these assessments and they can be used as a part of preparing for the certification assessments. Scrum.org provides four families of Professional Scrum certification assessments. These assessments cover a range of areas related to the knowledge and real world usage of Scrum. Passing these credible and consistent assessments is highly regarded as true industry certification by individuals, organizations and industry associations. Professional Scrum certifications are yours for life with no renewal costs to retain them. Once you pass the assessment, you will retain that certification, you will be listed on the Scrum.org website and remain there forever with no additional future costs. See breakdown of how many people hold certifications or Search the list.